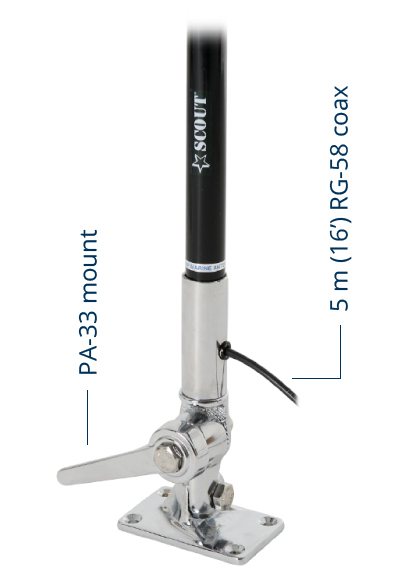 Scout celebrates the 30° anniversary with the new collection of antennas Black Edition. These design antennas fit perfectly with black boats, grey boats, and with metal/alluminium finishings. 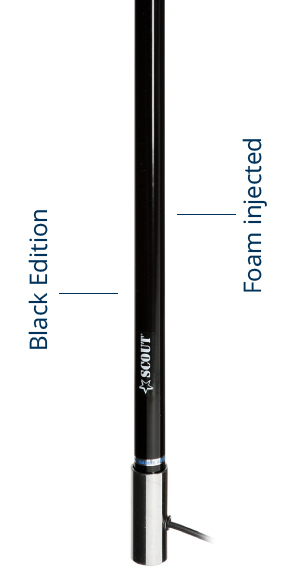 The KS-42 Black Edition is built with a heavy duty 1,5 mm thick fiberglass whip that gets fully foam injected with the special Scout 100% waterproof technique. Standard thread 1” x 14, chrome brass ferrule.